Dr. Borba is a child development expert who had joined forces with Walmart to raise awareness of how important nutrition and summer meals play an impact on child development. Dr. Borba has written 22 award winning parenting books including the book, Parents Do Make A Difference. Why is hunger and nutrition so important during summer? Well like I said, us Mom’s are always on the go with our kids. So at times we find ourselves going through drive thru’s or eating whatever is quick in the pantry. Eating regular nutritious meals helps our child’s development. Dr Borba says it will help them keep focused and less stressed. Did you know millions of low income children count on school meals for their one and maybe only healthy meal? So what do they do when school is out? This is where Walmart comes to the aid of those children. Alliance for a Healthier Generation: Increase access to healthy food and nutrition education for children and parents outside of school in eight U.S. cities. Food Research and Action Center: Increase access, participation and awareness of nutrition programs that provide meals to children across the country during the school year and summer months. National League of Cities Institute for Youth, Education and Families: Expand afterschool and summer nutrition initiatives and implement year-long feeding programs for more than 25,000 low-income children across the country. Texas Hunger Initiative: Expand sponsorship and locations for summer and afterschool meal programs throughout Texas, while increasing participation by 583,000 children. YMCA of the USA: Expand the YMCA’s Summer Food Program at more than 2,300 sites to provide children with access to meals outside of school year-round. Farmer’s markets are in full swing. Take the children and make it a learning experience by discussing different fruits and vegetables that are there. Have them ask the vendors how they are grown. Introduce new foods in small quantity. This way to doesn’t overwhelm your child. “Unplug” during dinner. This is exactly what we do. We use this time to ask about the day and plan night time activities. 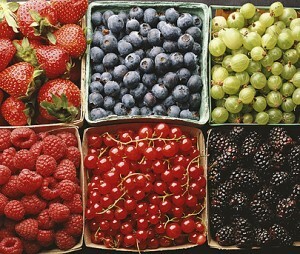 For brain power try having them eat blueberries, strawberries, or organic peanut butter. Summertime smoothies are a great way to sneak in foods they might not eat on their own. There are plenty of ways to keep the kids active this summer. Check your local library for free reading programs. Your church may have a VBS program or camp they can attend. Your city should have a parks and recreation program that would be filled with classes, camps, and swimming lessons they can get involved in. You can always check out your local YMCA for programs available. Whatever your summer has in store for you make it a healthy one. Consider taking some fresh food to your local food bank so low income families can have the opportunity to make a healthy meal for their kids. I do this every year with cucumbers and tomatoes I can’t eat. This was a sponsored post from The Motherhood.